Let's face it - everyone loves a cheeky game of badminton. So where better to service your craving for some shuttlecock than Hull University Badminton Club?! If you're a complete beginner, this club is a fantastic place to meet many new friends and have loads of fun. If you've already got some experience playing with your friends or at school, or even if you want to build your way up from scratch, the badminton club is the ideal place to take your game to the next level; not only will you get the chance to watch and even play with some quality competitive players, but we will be offering coaching sessions to really help improve all aspects of your game. 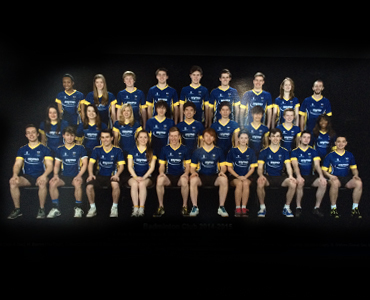 Finally, if you're a competitive club or county player, or think you have what it takes to play at a high level, then we have 3 Mens teams and 1 Ladies team in the BUCS league, and 2 Mens team and 2 Mixed team in the Local League. We also have social meetings every Wednesday at The Bevvy feel free to join us at 7:30pm.